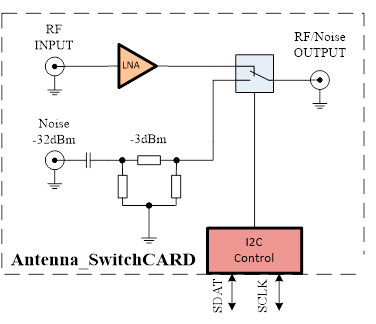 Antenna Switch Card is designed to switch the antenna input of the single receiver to the different sources, e.g. 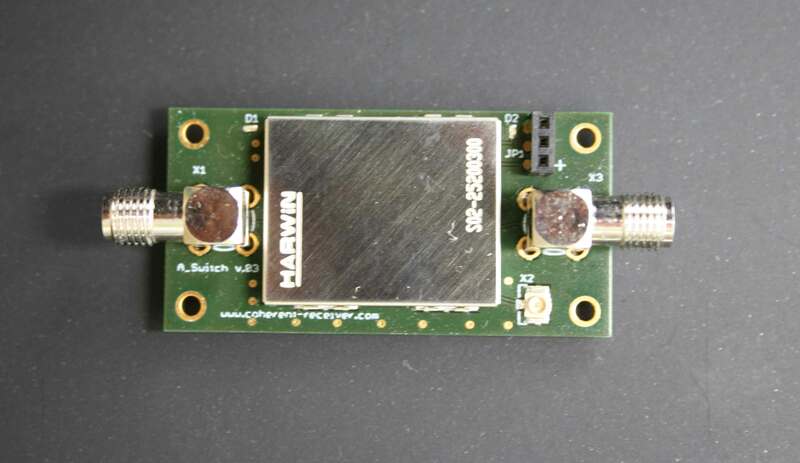 noise source or the RF signal from the LNA, using I2C control commands (electronic high speed switching). 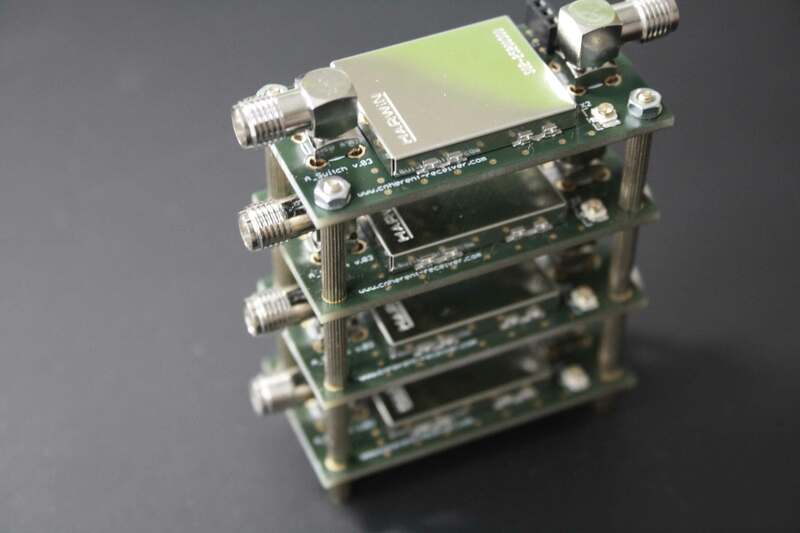 Single antenna switches can be connected together in order to build flexbible antenna switching arrays.